Standing on a green south of the inn at Craignure, the Parish Church of Torosay was built in 1783 with His Grace the Duke of Argyll as patron. It was thoroughly renovated in 1828 and again in 1832 following a lightning strike. Between 1869 and 1871 it was renovated and repaired once more at a cost of £244.4s.2d. 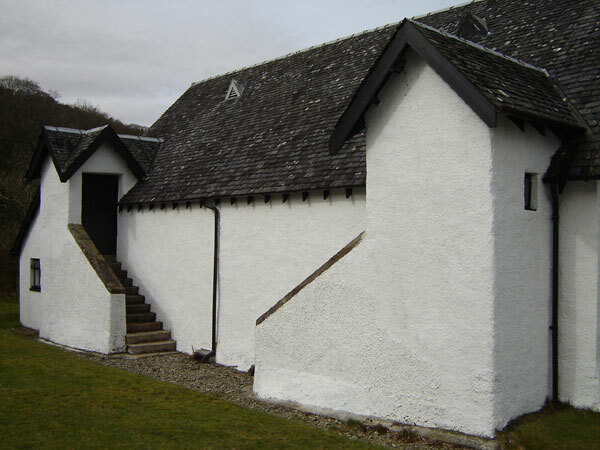 Two Laird’s Galleries were constructed at each end of the church, both with separate external staircases. This is very unusual. They are thought to have been for the Duke of Argyll and, possibly, the Laird of Lochbuie, and it is believed that they were built in this manner because the two local lairds could not decide who should have the privilege of facing the minister, so they faced each other! They were the only people who had seating and the ‘common’ people stood or sat on the ground floor in a higgledy-piggledy manner. The collection boxes had long handles so that people could be reached and the collection was usually taken only at communion. At the end of each box was a board where change was placed and shown around. Around 1803 Mrs MacLaine of Lochbuie gave two communion cups, which are still in use today, and in 1829 Colonel Campbell of Possil donated the church bell and baptismal font – he strongly opposed the set up of the Free Church. 1836 was known as the year of ‘the merited hastening of the Almighty’, when, on Sunday 15 May at 3 pm, a solar eclipse occurred. 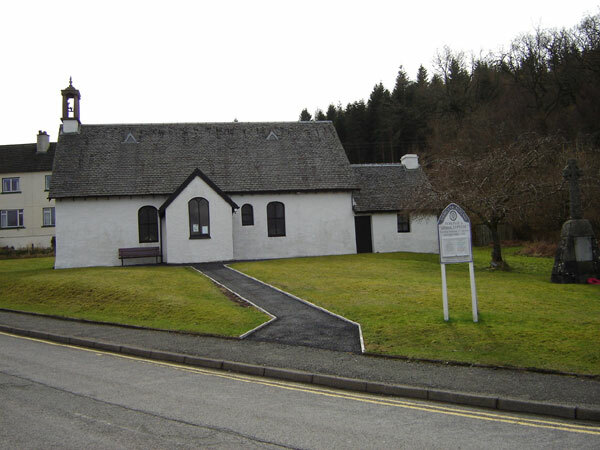 In that year the diarist Lauchlan Maclaine’s entry for Sunday 15 May concerning that morning’s service led by the minister of Torosay, Mr Clark, was ‘Gaelic service – excellent discourse Luke 21: v 25 given to a very large congregation. This discourse was appropriate as a Solar Eclipse was to take place at the hour of 3 o’clock PM. This took place and was visible with grand effect to the naked eye’. In 1900 the first organ was installed in the church and used for the English service. The precentor’s box was removed in 1962 and the present communion table put in its place. In order to help with the heating of the church a porch was built over the existing door in 1967. The church was extended in 1982 to include a kitchen and toilet. A new electric organ was also installed. 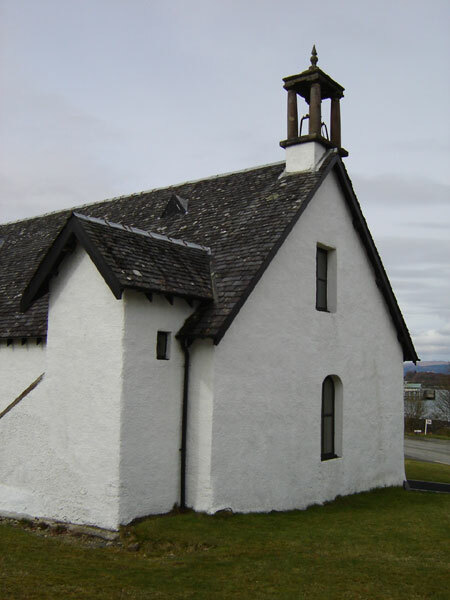 It is a plain Georgian kirk with white harled walls, arch-headed windows and a slate roof with a bird-cage belfry on the east gable. 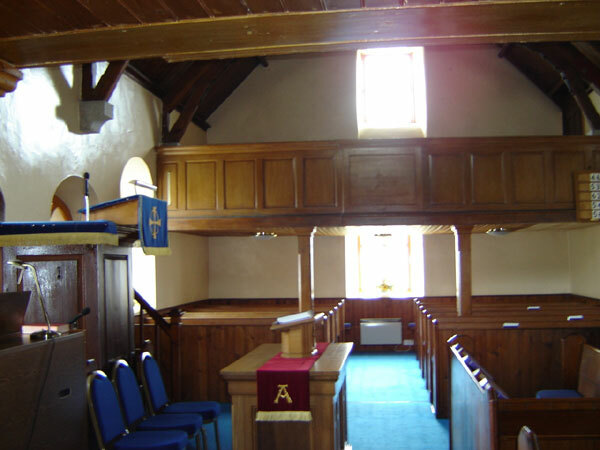 It is simple internally with plain, white walls, pitch-pine pews, pulpit and communion table. The pulpit is in the centre of the south wall. The ground-floor stalls are orientated either to face the centre of the church from its ends, or to face the pulpit in the central portion of the church. The two galleries at the east and west ends and are accessed via the external staircases mentioned above. 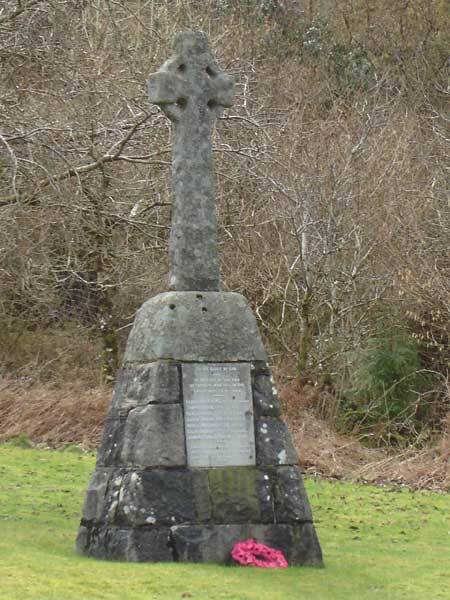 On the green in front of the church is The War Memorial which was erected in memory of the men of Torosay who fell in the First World War. Torosay 200 compiled by George W. Campbell from which most of these notes were taken. Many thanks.